Others still produce leaflets and distribute them to staff. Some of them might get read but virtually all will get binned or lost. It’s not the most exciting reading material after all. 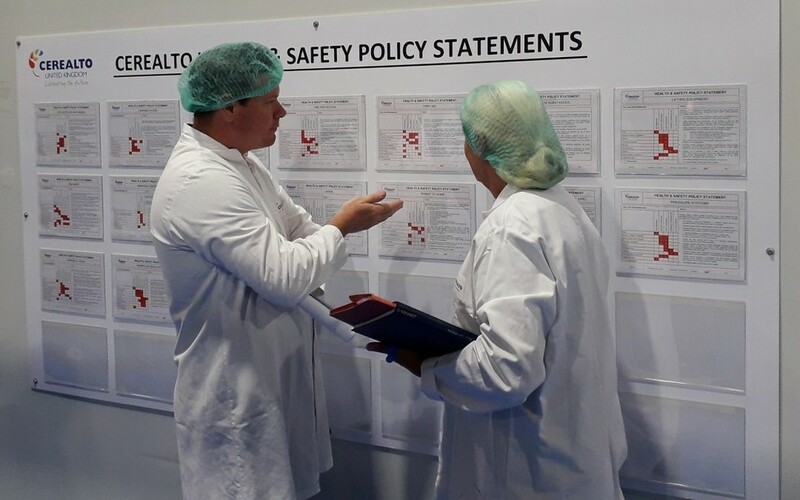 Cerealto UK has developed a format where the details of a specific OH&S policy, are shown on one side of a piece of paper and posted at the entrance to every department, a very public demonstration of the company’s commitment. People are only interested when they’re interested, but when they are they have immediate access to the company policy which states very clearly, who is going to do what to protect people from … you name it … fork lift trucks, hazardous chemicals, lifting equipment, pressure systems etc. etc.